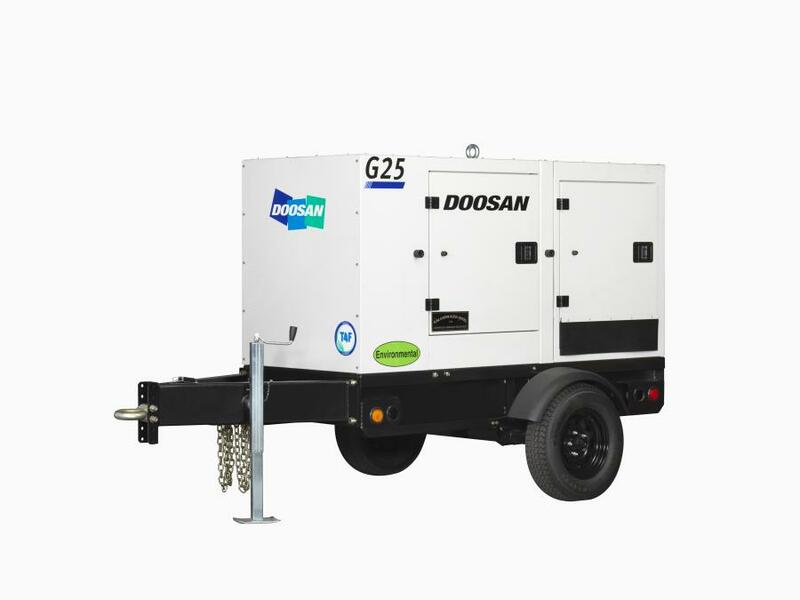 The G25, G50 and G70 models are the first mobile generators equipped with Doosan-built engines — the D18, D24 and D34 respectively. Doosan Portable Power introduced three newly designed models to its mobile generator lineup — the G25, G50 and G70. The G25, G50 and G70 mobile generators incorporate numerous innovations based on customer input and are aimed at improving operator experience. The newly packaged Tier IV Final-compliant generators offer improved fuel efficiency, extended runtimes and the industry's lowest sound levels — all without sacrificing reliability and performance, according to the manufacturer. Another customer-driven feature of the new G25, G50 and G70 is increased onboard fuel capacity for runtimes in excess of 24-hours at any load factor. An optional 48-hour runtime solution is available on the G25 and G70 models. The newly packaged generators also are quieter than previous models, most notably the G25 which features one of the industry's lowest sound levels at 63 dBA. The new generators also feature enhanced controls for easy operation. The new Doosan engine controller includes a backlit LCD screen for easy viewing of common parameters while analog gauges allow at-a-glance monitoring for operator convenience. Fault codes are displayed in simple text for faster diagnostics and troubleshooting. The new controls also are designed to allow integration of a variety of telematics packages for customers that desire remote monitoring capability. Further expanding the models' versatility is a dual-frequency feature that allows an operator to select 50 Hz or 60 Hz, dependent upon the application, and a multi-voltage selection switch.